DC Motors, a great history of supporting local events. 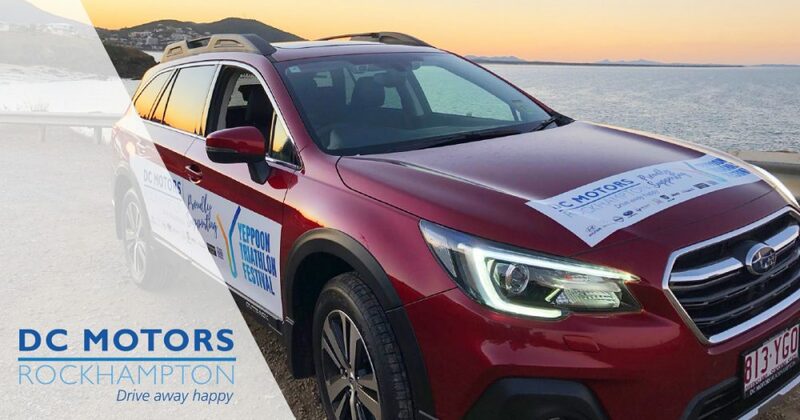 The Yeppoon Triathlon Festival was fortunate in 2018 to once again have the support from DC Motors and Subaru. DC Motors is a local and valued multi-brand car dealership, and we are extremely fortunate to have the support of Sheamus and his team as both a major sponsor and the event support-vehicle sponsor. This year it was also great to see so many of his team competing, including Sheamus himself, who ran 20 kilometers as part of the DC Motors Kraken 102 team. DC Motors has an amazing history of supporting local events, clubs, and charities, and we’re proud to be associated with such a well-respected brand in CQ.